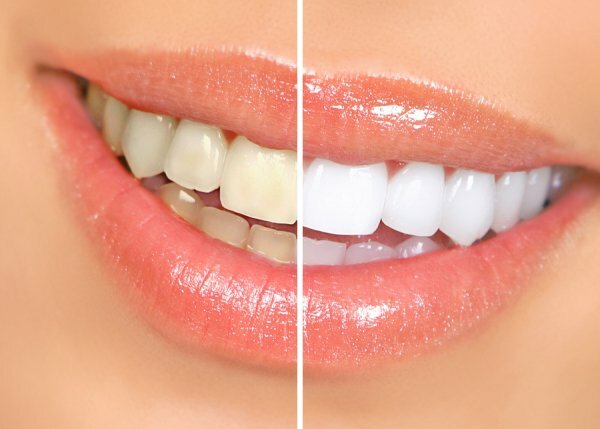 If your teeth have lost their shine over the years and you would like to enjoy a bright smile once again, you may be interested in teeth whitening treatment. Dr. Spalitto, a skilled dentist in St. Louis, is happy to help you achieve a smile that looks as healthy and youthful as ever. Teeth whitening treatment is among the least invasive and simplest treatments that dentistry has to offer. Read on for help in understanding your teeth whitening options. Many people are unaware that a teeth whitening procedure is an available treatment at all until they meet with their dentists to find out how they can enjoy a brighter smile. If you have never whitened your teeth before, you may want to do so under supervision from a dentist in order to ensure optimal results. Procedures conducted in the dentist’s office may also make use of more powerful products and yield more noticeable results than those you could perform yourself. Your dentist can protect your gums with a special guard to ensure that these powerful products are applied only to your teeth. He or she can also use a heat source to catalyze the teeth whitening process. If you decide to whiten your teeth at home, you will not use the same products or approach that your dentist would use in the office. Instead, you will typically use a mouthpiece tray that he has created specifically for your teeth. You will add a whitening gel to your custom mouthpiece tray and wear it for a few hours each day. The tray should keep the whitening agent away from your gums since it has been customized for your mouth. You can also find over-the-counter whitening kits at convenience stores, but they may not fit or work as well. Another form of teeth whitening treatment is whitening strips. You can apply these gel-coated strips to your teeth twice each day for 30 minutes at a time. After about two weeks, you should experience the end result, which will typically last for about four months afterwards.